You guys are going to dig this super easy greek chicken recipe. It’s so simple, that I can’t believe I waited this long to share it. 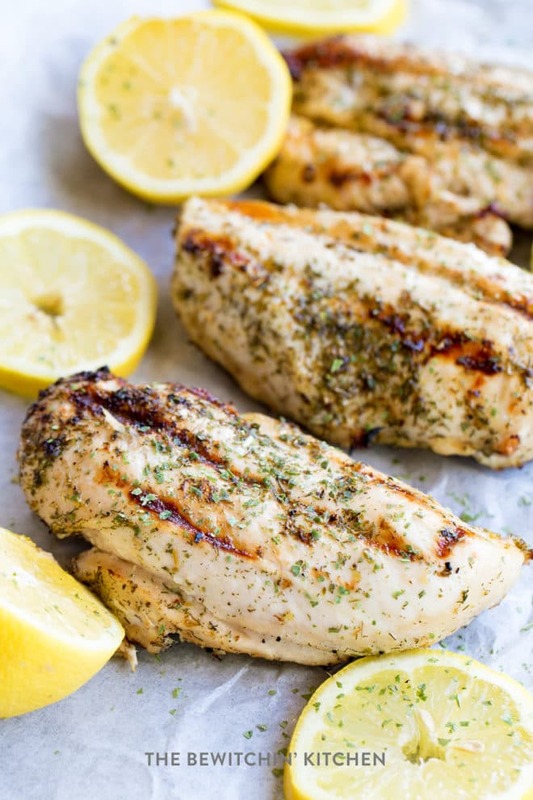 It’s a lemon and herb marinade recipe that my family and I have been cooking for years, whether it’s grilled greek chicken, Instant Pot greek chicken, or slow cooker greek chicken. Today we’re going to focus on the barbecue, but just know it’s easy to enough to adapt to the oven, pressure cooker, or CrockPot. As I said, I couldn’t believe that I haven’t shared a greek chicken recipe in the past here at The Bewitchin’ Kitchen. I even looked back in the archives and only saw something about a chicken souvlaki marinade I used to buy. This had to change, so I threw together this super simple lemon and herb marinade and combined it with Canadian Chicken. Did you know? Chicken Farmers or Canada have a free a Shopping With Chicken App? It’s so convenient! My favorite feature is that I can post a list the syncs with my husband’s app, so if he’s at the store he can check the list and pick up the items for me. It saves me a million little trips and I deeply appreciate it. I love a recipe that turns into multiple uses. 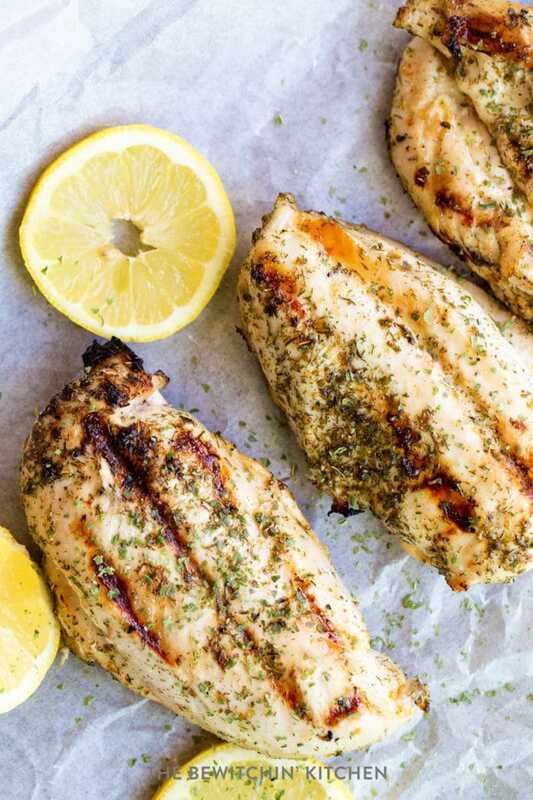 This marinaded greek chicken, once cooked, could be eaten as the main entree, a greek pita, your protein for your salad, or you can cut it up and make a greek kebab recipe. You can use chicken breast, thighs, or even drumettes to make greek chicken wings. 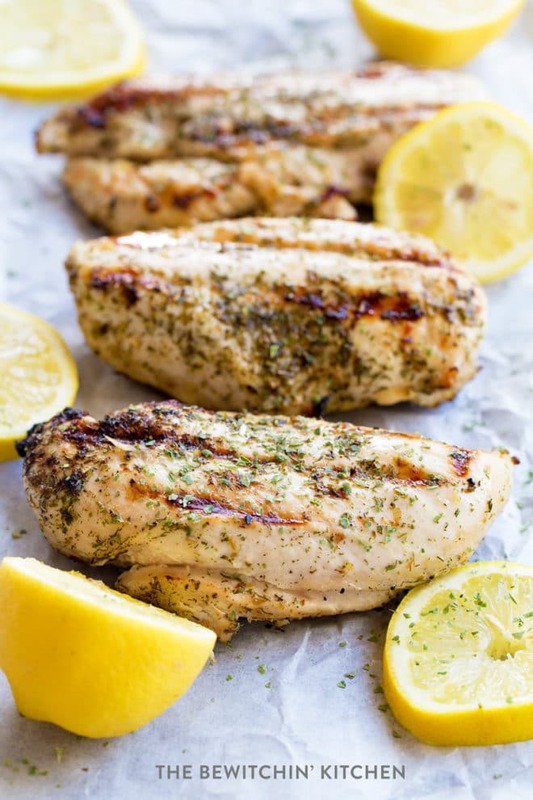 Use your imagination, as this lemon and oregano marinade is simple and can have a variety of uses. You can go the traditional way and serve with a lemon rice, pita, and greek salad or you can serve it with a side salad, bbq potatoes, or (my favorite) three pepper salad. Enter to win a propane gas grill with a cover! 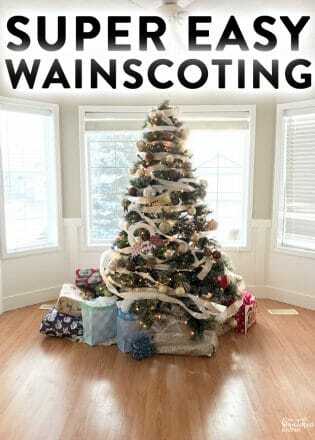 Enter below for your chance to win (open to Canadian residents, including Quebec). Before I share the Greek Grilled Chicken recipe, I wanted to share a few more bbq chicken recipes that you may like. Ends on June 6. Randa’s Tip: Check out how long to cook chicken with this guide from Chicken Farmer’s! Whenever I make a Greek chicken, I never measure but I do add olive oil, lemon juice, oregano, and garlic. Sometimes I even cheat and add a little pre-mixed Greek Seasoning or add a little extra dill. This greek grilled chicken recipe does change from time to time, depending on what’s within arms reach. Whatever I decide to do, I love throwing it together because it’s so simple and it takes mere seconds. So with that being said, this time I took a little extra time and measured it out so I could publish this greek chicken marinade recipe for you guys. How Many Calories are in Greek Chicken? 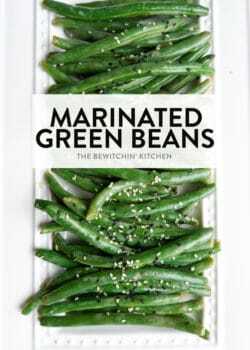 In this recipe, there are 269 calories, but that’s a little bit off because there is a lot of marinade that’s leftover. All nutritional information is on the below recipe card and nutritional label below. 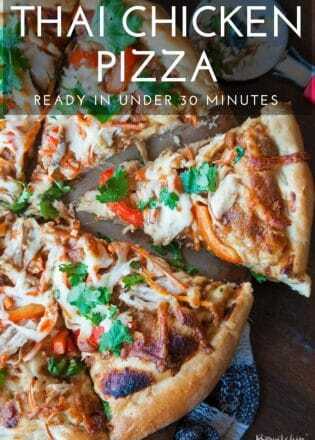 This recipe is also Whole30, clean eating, ketogenic approved, and low carb. 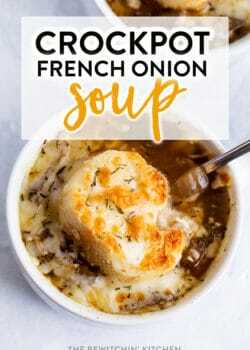 It basically checks all the dietary boxes, so unless you have specific food intolerances this recipe will work for you! 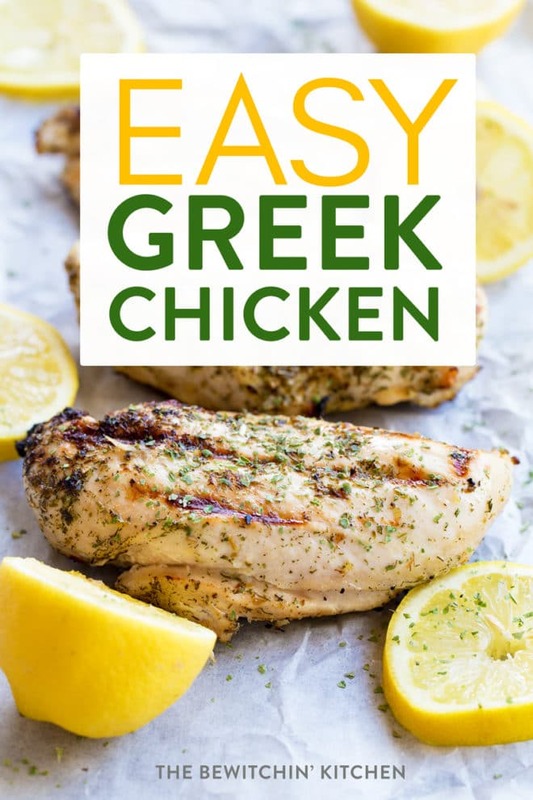 This easy greek chicken recipe is not only delicious but fits most lifestyles too. The marinade is low carb, paleo, and Whole30 approved. Happy grilling! In a large glass bowl (or resealable bag) combine the olive oil, lemon juice, and herbs. Add the chicken and ensure it's covered with the marinade. Top with plastic wrap, lid, or seal the bag and marinate for at least two hours (I like to give it the day). Heat the grill to medium and add the chicken. Cook for 8 minutes per side (depending on the size of the chicken breast) or cook until juices run clear. Sounds delish. My favourite has always been lemon spiced chicken on the bbq. A close second is mexican spiced. I love the BBQ Chili Drumsticks with Avocado & Tomato Salsa most! My favourite protein is chicken and I love it done up anyway, on the grill, breaded, roasted, you name it I love it all!! so I don’t have just one favourite recipe! I love chicken so many ways, but one of my favourites is chicken kebobs with my mom’s homemade bbq sauce, peppers and onions. Served on rice. Delicious. My favourite and go-to grilled chicken dish is Beer Can Chicken and chicken kebobs with vegetables. My newest favorite chicken recipe right now is the Blueberry Pecan Glazed Chicken,but we do enjoy chicken anyway it’s prepared it’s my favorite protein food! My go to chicken dish is a greek marinaded chicken wing for the grill. I would love to try the Barbecued Pineapple chicken. 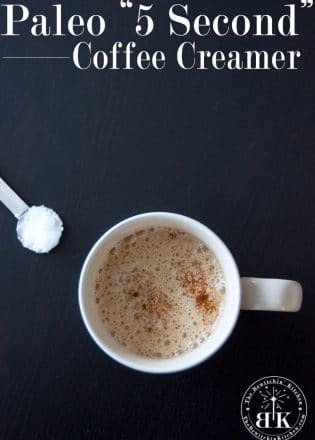 It sounds delicious although there are also many other delicious looking recipes that I would try too. 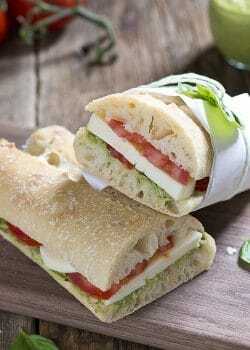 Oh man the A Taste of Summer Chicken Sandwich looks so good!! I love BBQ’d chicken and this looks like tomorrows supper!! Off to check the ingredients again to make sure I have everything!! I love the Baked Barbecue Pineapple Chicken. My favorite grilled chicken recipe is just simple chicken thighs grilled on the bbq with salt and pepper,and topped with bbq sauce. 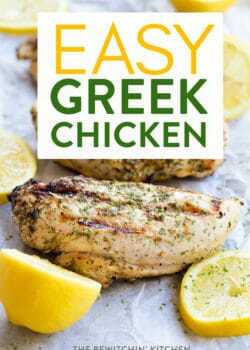 The easy greek chicken recipe sounds so yummy though,will have to try that one out! My favourite chicken recipe on the grill is the chicken on a beer can. I add spices/sauce to the chicken. Place chicken on grill and grill each side for 4-6 minutes depending on thickness. You just want to make sure there is no pink in the middle. I use olive oil and a bruschetta mix I bought in Italy.